Nina has worked closely with my husband and I in developing a master plan, creative outline and strategy for designing and strategy for designing and remodeling our family’s home. We have found Nina to have a unique ability to conceptualize and execute on her vision. She has shown terrific style and flair in her designs. Quite simply, Nina has transformed our home from an outdated, inconvenient and impractical design to one of comfort, charm, coziness and convenience for our family of six. We didn’t think it was possible. Equally important, Nina has a superb hands-on approach to her work. She works confidently and competently with the contractors and construction crew as she manages their everyday activities. Finally, we have found Nina to be a great listener who hears our desires, needs and concerns and then transforms our thoughts into a vision, plan and efficient action plan. From the beginning it has been clear that Nina is intent on client satisfaction. Highlighting recommendations from our lovely clients of A Beautiful Room, LLC! Nina loves helping all of you with your latest design renovations. Look for our latest advice on the Exeter Paint blog regarding new projects for each season, promo-giveaways, and a general things-we-love! Find us on Facebook + give us a Like! Share our stories with family & friends. 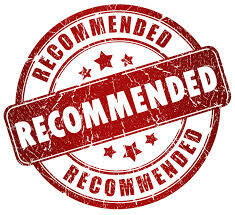 We hope to add your recommendations to our page soon!